Personality:Itami has a serious and calm most of the time but when talking to someone he can come off as rude and offending.Itami is unloyal to anyone seeing everybody as worms that are below him that he may crush at any moment he wants.Itami will betray his comrades in an instant if it means to progress in his plans and will kill his comrades if needed as well.Itami has a tendency to put his opponents through extreme pain mentally and physically before he actually kills them.Itami is excellent at scheming and will always find a way to cause extereme grief to someone in his schemes.Itami is also a bit sadistic as he enjoys fighting and causing deep painful wounds to his opponents and also enjoys feeling pain himself. Clan History:Itami's clan was known as the clan of witches for their use of jutsu.Itami's clan were able to see souls and call them into living plane of existence.They were also known as users of pheromones in battle to increase their strength or harm the opponent. Itami's clan also had special power that allowed them to manipulate their own blood as they can produce blood in their body extremy fast as they will need to lose great amounts of blood to feel any dizziness and use it during battles they also use jutsu that would use skeletons to do tha battle for them.Itami's clan was feared by others becouse of their powers and becouse of this the clan was continously attacked by rival ninja clans and even villages.Itami's clan was then wiped out by unknown leaving Itami as the only known survivor of the clan. 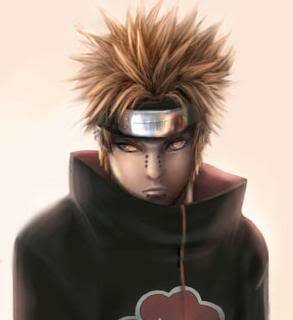 Description:This Kekkei genkai allows the clan member to be able to control his/her blood to his will.They may do this becouse Itami's clan's blood is different from any ordinary blood as it reproduces quickly in the body and the clan member is able to channel their chakra through it.The clan member can harden their blood to be as hard as steel.The clan member can also shape their blood in anyway they want allowing them to create many structures.The clan member may also thinken the blood or make it very sticky allowing them to bind their enemy with their blood.The clan member can also create great force from their blood being able to crush stone. 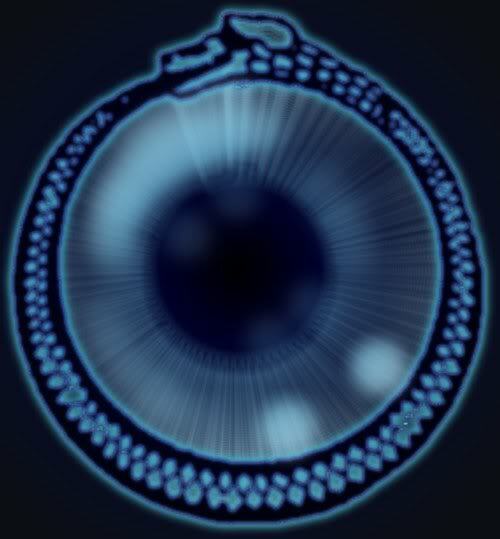 description:The Ouroboros eye in addition to allowing an individual to quickly master various jutsu, the Ouroboros eye also allows the user to use telepathy to an extent .The Ouroboros eye also has the power to see through solid objects,and see in complete darkness. Like the Sharingan and Byakugan do, the Ouroboros eye also allows the user to sense chakra, including an otherwise hidden barrier.The Ouroboros eye also weilds powerful dojutsu techniques that are considered legend to the ninja world it also has the power to show images of events that the eye has seen and show it to people in a way that makes it look that you are there. 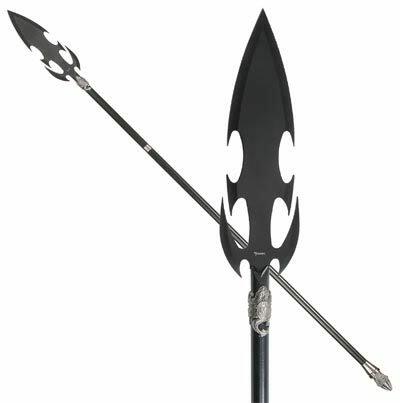 Description:This spear is said was able to peirce even the body of a god or demon.The spear of Longinus has the power to pierce through stone and the caster is able to pass his chakra pass the spear.The spear of Longinus can only be weilded by it's master and will sprout sharp thorns from itself if any other person tries to weild it.The Longinus will remain with it's master until the users death.He keeps the spear in a summoning srcoll ready to summon it whenver needed. History/Background:When Itami was a child his clan was killed off by unknown means Itami ended up as the only known surivor of his clans killing and he grew up in the rain country as an orphane.As an orphan Itami stole to survive in harsh times and began to hate the world for the life he had as he began to think if there was a god he must be an evil god that allows evil things to happen in the world.Itami found about his powers when he tried to steal from a chuunin. The chuunin cornered Itami and was about to punish him for his actions but Itami reacted back and by doing so killed the chuunin in the proccess.Itami then change from that moment then as he began to think that with his power he can change the self destruction of the world by destroying the people causing the harm.As Itami grew up he grew in power and began to master his clan's powers Itami grew strong enough to kill a team of Hunter-nin that was sent to kill him by the leader of the rain village as he was fearing how strong Itami was getting by himself. After the attack Itami attacked the rain village's leader and almost killed him in battle.Itami then left the rain village after he foungt the rain village leader and became one of the most dangerous ninjas known to the ninja world being classified as a s-rank criminal in every bingo book of every village.While traveling around Itami came across Akatsuki and joined them as he saw them as a way to fuffill his plans. Description: a Ninjutsu technique which every ninja learns at the Ninja Academy. The Bunshin technique creates a copy of the ninja without substance. The copy resembles the ninja in every way. This clone can function as a distraction or as means to confuse one's opponent. As soon the Bunshin gets attacked or comes into contact with an opponent, it will disperse. Description: a ninjutsu technique which every ninja learns at the Ninja Academy. Henge allows the ninja to transform themselves into any person or object. This allows the ninja to move with stealth or to trick their opponents. Description: a basic Ninjutsu technique. When in danger the ninja will quickly substitute themself with another nearby object. This can be a block of wood or even another person. This allows the ninja to quickly flee and hide while the original object takes the brunt of their opponents attack. Description:a very basic Ninjutsu technique that allows a ninja to escape from rope binds. Description:Kage Shuriken no Jutsu is a Ninjutsu technique utilizing a giant Fuuma Shuriken. When throwing the shuriken, the ninja will also throw a second giant shuriken to hide in the shadow of the first. The hidden secondary shuriken can then approach the target without their being aware. Description:basic Ninjutsu technique. The ninja will appear and disappear in an instant, allowing them to retreat or attack suddenly. To facilitate the movement the ninja will often use nearby elements such as mist, sand or leaves to mask their appearance or disappearance. Description:Soushuriken no Jutsu is a Ninjutsu technique used Uchiha Sasuke. After hurling his giant shuriken, Sasuke can control their path and movements by using wires which run from the shuriken itself back to his arm. Because his opponent will think they are normal shuriken, they will be off guard about their ability to redirect themselves. Description:Kirigakure no Jutsu is a Ninjutsu technique utilized by Hidden Mist ninja. The ninja causes the area surrounding their target to be covered in fog. The low visibility allows the ninja to silently and secretly assassinate their target. Description:Suirou no Jutsu is a Ninjutsu technique that utilizes water to imprison an opponent. The ninja forms the necessary hand seals which causes the water to form around the target into a spherical prison which only allows for limited movement. The ninja must keep their body touching the water prison to maintain its existence. If the contact is broken, the water falls away and their target is released. When combined with a bunshin technique, the ninja can imprison their target but still allow for a clone to attack others nearby. Description:Suiton • Mizuame Nabara is a Ninjutsu technique utilizing the Water Element. After forming the needed handseals, Izumo will expel a sticky liquid from his gullet. This liquid can cover approximately 20 square meters. If the target runs on top of the liquid, their feet will become glued to its sticky surface. If the ninja focuses chakra to their feet before touching the surface, they can hover above and move over it without hindrance. This allows Izumo or a comrade to charge and attack without fear of becoming bogged down as well. Description:Suiton • Suishouha is a Ninjutsu technique utilizing the Water Element. Nidaime Hokage does a string of hand seals which then causes a large volume of water to materialize out of nowhere. The water can then be directed at his target. Description:Suiton • Suigadan is a Ninjutsu technique utilizing the Water Element. The ninja does a string of hand seals to cause a nearby body of water to form a spinning drill. Description:Kai is a Ninjutsu technique which allows the ninja to avoid the effects of a Genjutsu illusion. After forming the needed handseals, the Genjutsu technique will not affect the ninja. The ninja can also use the technique on another individual who was unable to avoid the attack. After forming the needed hand seals, the ninja touches the one affected to end the affect of the spell. 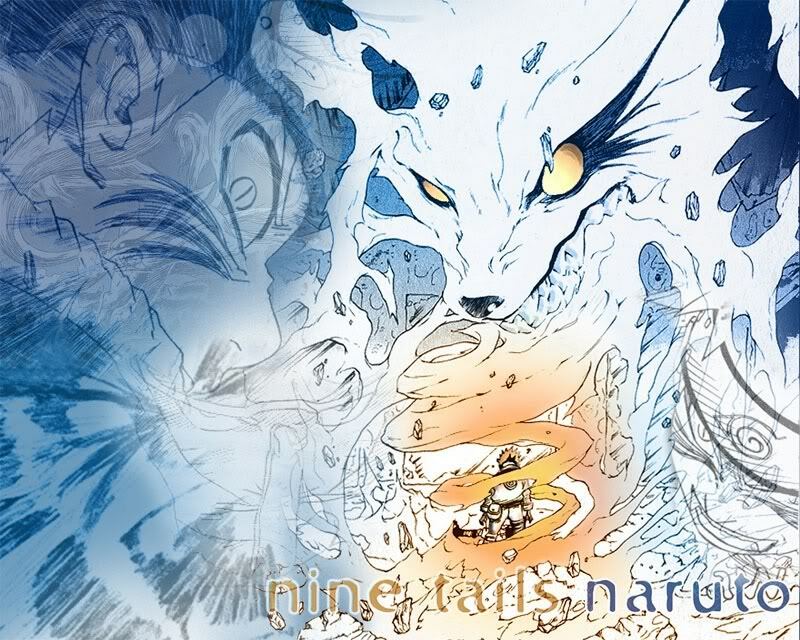 Description:a Ninjutsu technique used by the Rain ninja Kagari which utilizes the Water Element. After forming the necessary hand seals, a black mist will emit from his body and rise into the sky. Black clouds will form, releasing a flammable rain of oil onto his targets. Description:A techniques using the lightning element after performing necessary hand seals the caster will shoot a bolt of lightning from his hands.These bolts can easily cause severe damage to the enemy and can cause serious burns. Description:After performing the needed hand seals bolts of lightning will fall around the opponent sorrounding them from every side.The bolts will then create a field of lightning on the top ends of the bolts and they will also make a field of lightning that is under the ground , blocking escape from the bottom and from the top. Description:A Technique that after performing the necessary hand seals, bolts of lightning when strike the ground striking the place that the caster chooses.The lightning is powerful enough to destroy boulders and can easilty cause paralysis or or severly burn the opponent. Description:Nehan Shouja no Jutsu is a Genjutsu technique that allows the caster to place a large body of people into a unconscious state. The target can avoid the spell by forming and using the dispel skill. Description:Ranshinshou is a Ninjutsu technique used by the Sannin Tsunade. Changing the chakra in her hand into an electricity, Tsunade can create an electric field to disrupt her targets nervous system. Because the brain and body communicate using electrical impulses, Tsunade can use the field to disrupt her targets ability to move. What results is commands to move one body part being relayed to another, making it near impossible for them to move unless they have high skill and understanding of the body. Description:Inyu Shometsu is a Ninjutsu technique used by Kabuto. 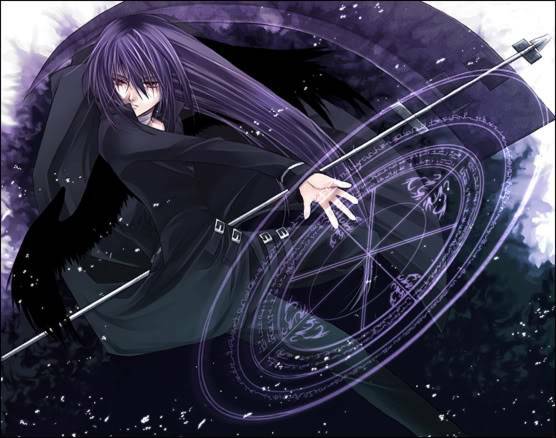 Focusing his chakra to an area to be hit, he can begin the cell creation process the moment the area becomes injured. This ability to activate his cells and create new ones is the very reason why Orochimaru favored Kabuto's talents. Description:This allows the clan member(s) to manipulate their blood to their will alowing them to harden their blood to be as hard as steel.The clan member can also shape their blood in anyway they want allowing them to create many structures.The clan member may also thinken the blood or make it very sticky allowing them to bind their enemy with their blood.The clan member can also create great force from their blood being able to crush stone. Description:Like the Kawarimi but using blood when in danger the ninja will quickly substitute themself with nearby blood. This allows the ninja to quickly flee and hide while the original object takes the brunt of their opponents attack. Description:Like the Mizu bushin but using blood instead of water has the ability to interact more with the environment due to it having physical substance. This allows the clone to carry out limited attacks on its target. The range of the clone is limited however, it can not travel very far from the original body. If the Chishio Bunshin is injured, the clone will usually revert back into its natural blood state. Description:By manipulating the blood inside them the user will have their blood form into giant wings on their back.These wings allow the user to fly through the sky.The wings can also be used to block incoming attacls from the opponent. Description:The user will have blood flow through their finger tips the caster will then strecth the blood to form whips for each finger.These whips can leave painful scras on the skin and can pierce the skin or wrap around the opponent.The whips can eah be controlled seperately allwowing for combinations between eah whip. Description:The caster will have blood flow through their eye and they will shoot the blood at the moment making the blood seem like red jets.These jets can piere through stone and their movement can be manipulated seperatetly by the user. Description:By using blood the user will create a giant wall that will block incoming attacks.The wall can also be manipulated to form blood tendrils from itself and use them to attack the opponent. Description:By using theirblood the user will bind the opponent by wrapping their blood around them and tightenig the bloods force making itvery difficult to escape.This will leave the opponent open for attack orcan be used to subdue someone withought killing them. Description:By using blood the user will harden their blood to create a warrior.This warrior can create weapons from it's body by changing it's body parts to differnet forms of weapons.The warrior can also become a liquid and travel in that form and then it can reconstuct iself back into it's harden warrior self. 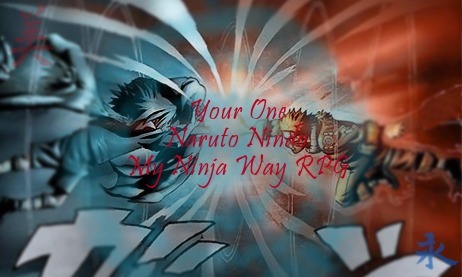 Description:When eye contact is mnade the users Ouroboros eye will begin to spin and the opponent caught will be sent into an almost unbreakable genjutsu.The opponent will find themselves in a world where tombstones can be seen beyond the horizon.Under the enemy all of sudden dead corpses will begin to hold the person caught in the genjutsu down and begin to rip his/her skin of their flesh as this is happening the caster watches from above standing in midair while a giant meteor begins to come crashing down from behind them.The person caught in the genjutsu will then begin to feel the temperature getting hotter and will feel like they cannot breathe, as the meteor gets closer the land around will begin to set aflame and the dead corpses will be set ablaze while griping the person caught in the genjutsu.The meteor will then go through the caster and as it does the caster will vanish as the giant meteor flies through them and all that can be heard is the casters voice speaking to the person caught in the genjutsu.The person caught in the genjutsu will then get set ablaze as the meteor comes closer and closer and they will feel agonizing pain.The meteor will then crash into the land destroying everything on site leaving nothing but a giant crater in the ground.The person caught in the genjutsu will expreince extreme tauma and can be sent commatose for a couple of weeks.The person caught in the genjutsu can also be sent towards insanity. Description:After eye contact is made the Ouroboros eye will begin to glow and the mark of the Ouroboros in the eye will seem as it is sorrounding the area in a ten meter radius.The people inside the radius of the Ouroboros sign that the user chooses will be thrown into a genjutsu that cannot be broken but it could be withstood if the opponent's mind is strong enough to do this. that puts the people affected by the genjutsu in another world.This other world is a land where there is a giant red sun in the sky that is constantly burning the ground causing the ground to be extremely hot.In the world it can be seen that people that the person caught in the genjutsu holds dear are being savagely torchered.The person caught in the genjutsu will then suddenly be binded to the ground by flaming chains that burn the skin to the person affected by the genjutsu.The user of the genjutsu will then appear in a throne a couple feet in the air infront of the person caught in the genjutsu.The user will then have burning demons from the ground to sorround the person caught in the genjutsu and have them rip the person caught in the genjutsus skin off their body.The user will then use use different types of torcher devices on the person caught in the genjutsu.The user will then proceed to have body parts of the person caught in the genjutsu to get ripped off in differnet ways.The user will then disappear and leave the torn apart body of the person caught in the genjutsu on the floor and as the user disappears the area begins to get dark and when it gets totally dark the opponent will be returned to reality but as they look they see that the body parts that were ripped off in the other world are still ripped off this can throw the opponent into insanity in reality this is just part of the genjutsu and their body is actually still intact but the genjutsu makes it seem that their body is ripped apart. If the opponent finds this out they can try to release the genjutsu since this part of the genjutsu is very weak. Other than your Kekkei Genkai you are approved. Your clan needs to be posted in the custom clans section and then be approved there. Looks fine, except for the Blood Dust Technique. Any other objections Shiri? What rank are you thought,Akatsuki right?